Nigerian comedian Otolorin Kehinde aka ‘Kenny Blaq’ delivered an ecstatic performance at his debut show ‘The Oxymoron of Kenny Blaq’ which held on Sunday, July 23, 2017, at Eko Hotels Convention Centre, Victoria Island, Lagos. 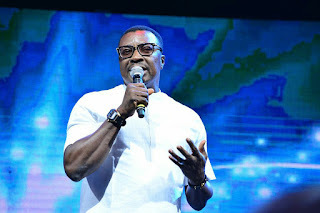 The event, which began with a red carpet session, had in attendance over a thousand fans, friends and families of the comedian and top personalities in the country such as Former First lady of Lagos State, Mrs. Abimbola Fashola, First lady of Rivers State, Her Excellency Eberechi Wike, King of Comedy Alibaba and his wife Mary Akpobome, Veteran actor Olu Jacobs, Businessman and Mediapreneur Guy Murray Bruce, and many others. 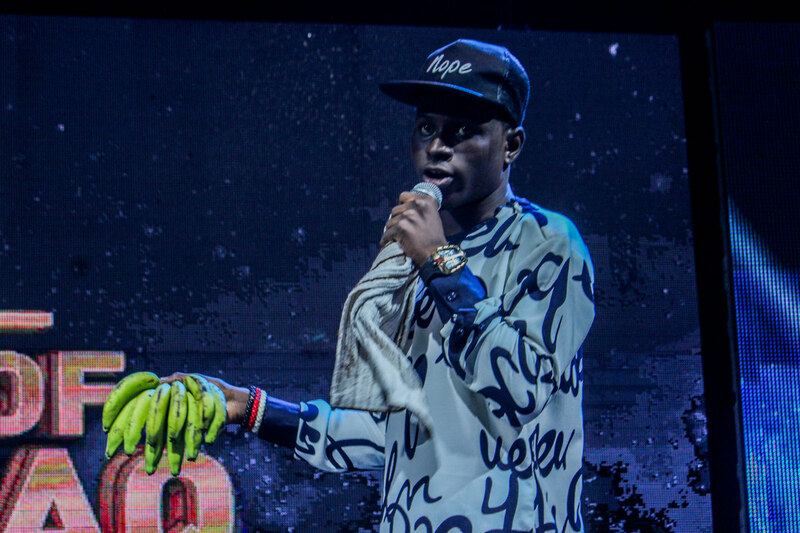 Kenny Blaq graced the stage in a grand style, leaving the crowd roaring in joy. The young comedian who refers to his style of comedy as ‘musicomedy’ quickly dished out jokes on some Nigerian songs comparing them to foreign songs. Some of the songs he made a mockery of are Mr Eazi’s Skin Tight, Adekunle Gold’s Orente, Davido’s Fall and several others. Kenny performed with a live band, enacting several dance moves with Imagneto dancers led by Kaffy. During one of his performances, Kenny Blaq invited top music comedians on stage including MC Miracle, Omobaba and Maleke. He appreciated them for establishing ‘Musicomedy’ and delightfully took pictures with them. Other comedians and musicians who also performed at ‘The Oxymoron of Kenny Blaq’ include Seyi Law, Korede Bello, Adekunle Gold, Chuddy K, Baba Fryo, Sound Sultan, MC Miracle, Woli Arole, 9ice, Junior Boy, Omobaba, Maleke, MC Miracle, African China, Jaywon, Koker, Sugarboy and many more. At the end of the show, Kenny Blaq couldn’t contain his excitement as he rendered a heart-warming speech before exiting the stage; thanking everyone in the building for their support and spoke about his journey since his emergence in 2008.